Repealing the failed war on drugs policy of mandatory minimum sentences for more drug offenses. Providing free (or at least reduced cost) phone calls to those in jail or prison and overhauling the jailhouse phone call system of exorbitant phone rates to people who are incarcerated and their families. Amending the casino-gaming law to eliminate disqualification of job applicants who have felony theft convictions given that countless workers have felony larceny charges on their records because the Massachusetts felony larceny threshold was only $250 for many decades which made felons of countless people, including young adults and those with substance use issues, for what were low level offenses. 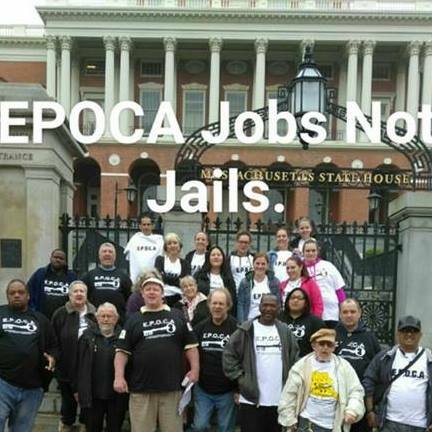 Providing those who are incarcerated with information to help them preserve their right to request a reduction in child support orders while they are incarcerated and to avoid racking up massive child support debt owed to the state that they have no ability to pay. Amending the newly enacted, but seriously flawed juvenile-young adult expungement law so that expungement can actually become available to young people, and also enacting other juvenile justice reforms. Ending violence, trauma, and injuries related to incarceration through uniform standards on reporting of and use of force, and creating baseline standards for use of force by K9’s in correctional facilities. Giving judges the discretion to not impose incarceration of a condition of a suspended sentence is violated. Reducing long 5 and 10 year waiting periods for sealing of misdemeanor and felony records to 3 and 7 years to be consistent with recidivism studies and get people back to work. Changing the law to permit sealing of resisting arrest convictions which previously gave people lifetime criminal records. Increasing the amount at which larceny becomes a felony from $250 (one of the lowest amounts in the nation) to $1200 to stop making felons of countless people charged with low level crimes. Repealing many of the failed and costly “war on drugs” related mandatory minimum sentences for drug crimes. Requiring no parole fees for the first year after release from prison. Requiring no probation fees for the first six months after release from incarceration. Uniform fee waiver language across fees to make more fees waivable for the poor. Reducing or eliminating other CORI consequences to get people back to work and to reduce barriers to housing, professional licensing, and other opportunities. Click for here for more information about 2018 criminal justice reform. 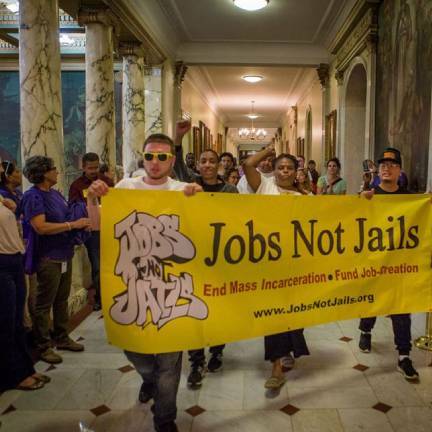 Jobs NOT Jails legislative victories include repealing a draconian law enacted in the heyday of the war on drugs that required suspension of a driver’s law license for years and a hefty $500 re-instatement fee whenever a person was convicted of a drug crime. People now have greater access to jobs and no longer have to suffer hardships related to getting their children, family members or themselves to school and to medical or treatment appointments.